The regular monthly meeting of HRHS will be on May 16th, at the Portland Public Library, 301 Portland Boulevard at 6:00 p.m. Anyone interested in the local history of Portland and the Highland Rim area, is invited to become a member of the Highland Rim Historical Society. is invited to attend the next meeting of HRHS. at the Portland Public Library, 301 Portland Boulevard at 6:00 p.m.
To preserve, safeguard and enhance the heritage of the Highland Rim Region of Tennessee through the preservation and protection of buildings, places and locations of historical interest or architectural value, and recorded data in whatever form it may be. The Highland Rim Historical Society was co-founded by Jim Calloway and Kenneth Thomson. It was organized by history teacher, Jim Calloway and his American History class at Portland High School at the request of Principal William Coker. The Society received its Charter in July 1974. The Society has accomplished much since its inception, beginning with the moving and restoration of Cold Springs School, in September 1975, which it now maintains as a School of local history. Another ongoing project is the placement of historical markers at various sites in the area. Each year the Society sponsors “Ghost Stories” at the Cold Springs School for third-grade students from five local elementary schools. 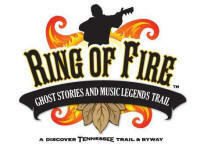 They learn about the one-room school and hear ghost stories told by Society members, Bonnie Fussell and Jackie Wilber. The Society sponsors a booth in many of the annual festivals including the Highland Harvest Crafts Show sponsored by the Portland Parks and Recreation Department and the Chamber of Commerce Strawberry Festivals and Parade. The Society meets the third Thursday of each month, at 6:00 p.m., at the Portland Public Library (Formerly named the Elmer Hinton Memorial Library) in Portland. HRHSTN also maintains a Facebook page. 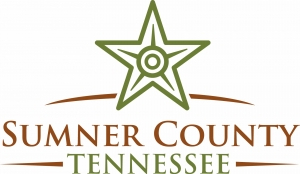 A link to "Facebook" along with the "Sumner County Tourism webpage," the "Tennessee Civil Wars Trails" and the "Ring of Fire" historical sites can be found on the right site of this page.